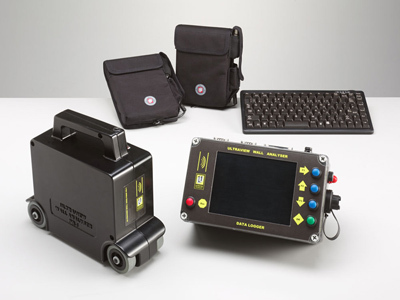 UtEl make specialist GPR tools which are not available anywhere else. The CDH was originally developed at the request of TRL Ltd to measure the depth of cracking in flexible pavement. 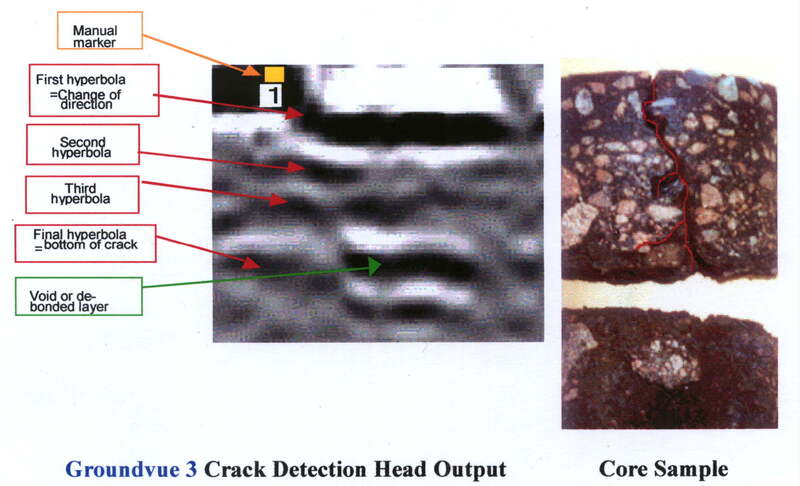 The horizontal extent of cracking can be measured by optical means but only GPR can measure the depth of penetration of surface down cracking. Any GPR can detect areas of fracture but the CDH is a specially adapted antenna intended to measure the depth of cracking. It is the depth to which the crack extends which determines whether or not the road requires repair or resurfacing. 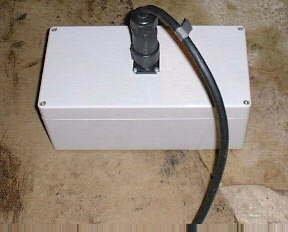 The CDH is an adapted antenna i.e. it is the equivalent of a transmitter/receiver pair. It is not suitable for detection of stratigraphic layers but is optimised for detecting either the depth of cracks or linear objects that it crosses such as joints in concrete which can otherwise be difficult to detect. The CDH is also used for the detection of subsurface cracking which has yet to break the surface. A critical part of the decision to repair or refurbish airport runways is the relative proportions of visible (top down) and invisible (bottom up) cracking. The top down cracking can be established by inspection, the bottom up cracking typically forms at the joints in the concrete below the black top and, in time, permeates into the tarmac. The CDH detects the bottom and top of any invisible cracks which have developed. Green where the joint is visible but there is no associated cracking. This is a much more reliable check than attempting to use traditional antennas. For Further Reading see also two reports of surveys carried out in conjunction with Defence Estates Publications. One advantage of simultaneous triggering of antennas is that it becomes possible to automatically calibrate transmission velocity. Obviously this only works if there is no cross channel interference, as is the case with the Groundvue multi-channels. The operator selects one transmitter and two or three receivers and operates these from the same channel. Since the relative positions of the receivers from the transmitter are all known, it is possible to use the times reported by the radar to work out the transmission velocity. This velocity is then used to translate the GPR depths in nanoseconds time into centimetres/metres depth. An example of automatic velocity calibration is shown here. There are two versions of the e-Spott – one high frequency for checking roads and the other very high frequency for checking footpaths. The unit, based on multi-channel technology, is placed on the road or footpath reinstatement and a button pressed. The e-Spott registers its GPS position then displays depth readings in centimetres for the first two subsurface layers and records all the data onto an SD card. This is very much quicker than coring and because the number of readings can be increased dramatically, relative to coring, results in a much higher level of verification. This unit is primarily of interest to security organisations. Based on a high frequency GPR, the Wall Analyser is used to check both the thickness and the content of walls, floors and doors together with any objects immediately behind them. UtEl have granted the worldwide licence for this product to Ultrafine Technology Ltd and you can contact them here.